Casa Colina, led by a multi-disciplinary treatment team of substance abuse and health professionals, embraces a holistic approach to addiction treatment. Our passionate team of addiction treatment professionals have over 100 years of combined experience in the fields of addiction and behavioral health. We strive to maintain an exceptional and creative work home—one that allows our team to effectively and powerfully carry the message of recovery and to deliver education and guidance while fostering a healing environment for our guests at Casa Colina. Many of our team members are also active participants in their own recovery from the disease of alcohol and drug addiction. As owner and Chief Executive Officer at Casa Colina, Chico has a passion for connecting with and teaching others about an abundant life in recovery. As an experienced Licensed Professional Counselor and Supervisor as well as Certified Experiential Therapist, Chico has been in the field of addiction for over two decades. After completing his Bachelor of Arts degree at Southern Methodist University, he went on to receive his Masters Degree of Counseling from Dallas Theological Seminary. His own journey with sobriety began in August of 1989. His personal experiences both during and after treatment instilled in him a calling to develop a recovery community in Dallas of young men who are focused on the values of truth, service, accountability, spirituality, and love. He founded Gaston House transitional living in 2005. His interest in education, combined with his desire to work with young adults and families, led him to serve as interim director for the Center for Alcohol Education at Southern Methodist University. He later accepted a position as Chief Executive Officer with a local, long-term residential recovery center in 2000. This position was instrumental in preparing him to lead, train and develop others by example. His experience as a private practice therapist over the years also has allowed him the incredible opportunity to engage and educate families and clients about addiction, treatment and recovery, all while offering hope and solutions. His “joie de vivre” does not extend only to those at Casa Colina, it also includes his lovely wife, Shannon, and their two teenaged boys. As a South Texas native, you can often catch him wearing cowboy boots. Staying true to his roots, he emphatically supports the San Antonio Spurs. When he is not cheering exuberantly for them, you can find him cheering in the stands for his two boys. Caring and compassionate, John joined the Casa Colina team as the Clinical Director in 2018. John previously served as Clinical Director at Powerhouse Services in Baton Rouge, Louisiana where he was employed for close to a decade. He also has previous experience as a Social Work Case Manager at St. Clare Psychiatric Hospital. John completed his Bachelor of Arts degree from Southeastern Louisiana University followed by his Masters of Science degree in Social Work at Louisiana State University. Having spent so much time in Louisiana, John can’t help but to root for the LSU Tigers…and the Dallas Cowboys and the Dallas Mavericks. His commitment to giving young men the same opportunities in recovery that he was given is just one of the reasons why he makes a wonderful person and a skilled clinician. He is especially passionate about extended care. He looks up to his father most of all for providing him an example of what it means to be a successful, loving, family man. John loves to work out, watch sports, and play golf. His favorite quote “go big or go home” serves him well as long as he goes home to his two dogs, Rambo and Stella. Kay Fontenot is a dedicated and energetic Licensed Clinical Social Worker who lives in a small town just outside of Dallas, Texas. Hailing from Louisiana, she had an avid interest in helping others at an early age. Growing up, Kay was selected as a peer mentor in middle school and later as a summer camp counselor in East Texas during her college years. These positions of mentorship taught her how to both encourage and empower others. It’s safe to say that what initially started as an interest has now become a main purpose in Kay’s life. Presently, Kay works as Director of Admissions while also serving as a clinical social work supervisor. She has had direct experience in this particular area as well as motivational interviewing for over a decade now. Her goal is to continue to help as many people as she can. 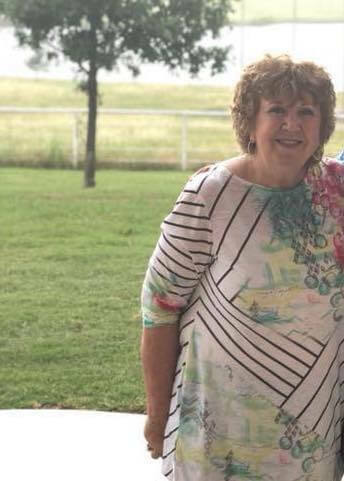 When she has a few moments to herself, Kay likes singing in the car, taking road trips, reading great books, going to antique malls and cooking. However, family comes first to Kay. Spending time with her husband, their two children and their 95-pound dog is at the top of Kay’s favorite things to do. A native Texan and an avid outdoorsman, Sean is passionate about leading by example. His own personal experiences and his commitment to integrity and accountability allow him to share knowledge and hope to others who are struggling. With a Bachelor of Arts from Southern Methodist University, Sean focused on history and psychology. He later went on to complete his Juris Doctorate Degree at Thomas Jefferson School of Law in San Diego, California. His passion for knowledge was most influenced by his grandfather, whose thirst for knowledge and love of the arts was unmatched. He also happens to be Sean’s role model for life. Sean’s favorite quote derives from page 46 of the Book of Alcoholics Anonymous, “We find that God does not make too hard terms with those who seek Him.” In his free time, Sean supports Ducks Unlimited, Trout Unlimited, and the Costal Conservation Association all while looking for a rescue dog of his own. As our staff nurse, Ashley is motivated and inspired to care for the men who chose to make Casa Colina their temporary home and refuge. Ashley has extensive experience in the field of addiction and in corrections. Watching friends and relatives struggle with alcoholism and addiction influenced her decision to enter into the field of addiction and especially to join the team at Casa Colina. She has a strong motivation to succeed and to be the best leader she can be. Her husband, her children and her faith in God all inspire her to provide the best care and support to others. “Failure will never overtake me if my determination to succeed is strong enough” is her life motto. When she is not caring for others, she enjoys coaching softball and spending quality time with her family. For Shannon West, working at Casa Colina is not just a profession but it is also a ministry. Being married to a counselor in the field of addiction for over twenty years has given her a unique perspective in working with young adults who struggle with addiction and alcoholism. She brings an organizational and operations background to Casa Colina as well an incredible ability to show compassion and love to others. Her heart’s desire is that others will know the hope and joy found in Jesus and that she can be light in a dark world even as she experiences trials just like everyone else. With a Bachelors Degree in Arts from the University of Alabama and a Masters of Liberal Arts from Southern Methodist University, Shannon works tirelessly behind the scenes making sure things run efficiently and smoothly at Casa Colina. As a mother of two boys, she volunteers actively with their schools and also works closely with an organization called Young Lives that helps teen mothers in need. Originally from Fort Worth, Dr. Shipe serves as Medical Director at Casa Colina. She has been in private practice in the Dallas area for over seventeen years. She attended and received an undergraduate degree from Texas A&M University and later attended medical school at the University of Louisville. She graduated from Residency in Psychiatry in 2007 from University of Mississippi Medical Center in Jackson, MS. She then completed her fellowship in Child and Adolescent Psychiatry in 2009 from UT Southwestern Medical Center Dallas. Her interests include anxiety disorders including generalized anxiety, obsessive-compulsive disorder, panic disorder, and social phobia; Asperger’s disorder; Attention-deficit and disruptive behavior disorders; Mood disorders including bipolar and depressive disorders; Addiction disorders including alcohol and opioid-related disorders. Dr. Shipe is affiliated with the American Psychiatric Association [APA], the Dallas Association of Women Psychiatrists [DAWP], Genelex YouScript Pharmacogenetic Personalized Prescribing System, and the Texas Society of Psychiatric Physicians (TSPP) She also has additional certifications as a Qualified Practitioner, Cogmed Working Memory Training Program, [Cogmed], and Mental Health Specialist. Having been given the gift of recovery at the age of 16, KC has made it her life’s mission to build programs that provide superior treatment to individuals and families suffering from addiction. KC is licensed as both a Professional Counselor Intern and a Chemical Dependency Counselor in the state of Texas. She has served in numerous roles in the treatment industry that range from house manager to executive director. Her current roles at Casa Colina are Compliance Manager and Family Program Therapist. A Licensed Chemical Dependency Counselor, Ivy first became interested in the field of addiction during her stay in residential treatment. With a strong desire to help others and a natural curiosity, she completed her Associates Degree in Arts in Applied Science and is current completing her Bachelors Degree at University of North Texas. Ivy’s straightforward nature and honest dialogue are just a few of the qualities that she brings to Casa Colina. Her autonomy and experience working in both residential and outpatient treatment settings provides her with a keen understanding of the importance of a full continuum of care. Her motto, “one day a time,” helps her stay grounded and focused on the experiences and people who matter most, her sobriety, her family, her friends, and her three fur babies. Having served as a primary counselor since 2010, Dave joined Casa Colina in 2019 as a Licensed Chemical Dependency Counselor. Before finding long term sobriety, Dave had an active addiction which started in adolescence and continued for over 20 years of his life. His decision to enter residential treatment was instrumental in shaping his decision to start a new life. Dave considers his primary purpose in life to help all who struggle with addiction and their loved ones to start on a journey of recovery, with the hope of a spiritual awakening and a life of contented recovery. Chris is an author, speaker, pastor and mother of three. She received her M.Div. from Baylor University and is currently a doctoral candidate studying spirituality and recovery at Fuller Theological Seminary. She is also finishing her masters and licensure as a chemical dependency counselor in the state of Texas and a neurobiological mindfulness coach. Christina teaches retreats and workshops on identity and connection and is passionate about helping those in addiction find the path of recovery through spirituality. In her free time, Chris is a fitness instructor and an outdoor enthusiast. A Waxahachie local, Kelly Rozier is passionate about helping others develop a healthy relationship with food. She completed her Bachelors Degree in Dietetics and Business Administration in 2002 from TWU. As a creative problem solver and a consummate patient advocate, Kelly works closely with our executive chef and fitness trainer to provide healthy and delicious meals to promote overall health and wellness at Casa Colina. Mary has a private practice in Naples, but she is known for her experiential workshops and intensives that promote healing from the inside out, with individuals, couples, and families. Her sense of humor and ability to bring heart and hope to this dynamic process has been her hallmark. Before moving to Florida Mary directed a Pastoral Counseling Center in Massachusetts for many years and worked with area wide Pastors, their churches, and leadership. Mary has worked extensively with a number of the première treatment centers in staff trainings, strategic planning, and program development. Forty years of experience in the field of addictions, eating disorders, and relationships, as well as directing a psychiatric treatment facility of 92 beds brings a lively history of experience. Mary has owned her own training company since 1986 where she resides in Naples, Fl and specializes in addictions, eating disorders, and psychodrama, which has opened doors internationally. Mary has worked for the past 16 years taking 2-3 weeks /year to work with trauma primarily in Central Africa, Rwanda, Uganda, Sudan, and more recently in Ghana, Haiti, and the Philippines. Mary works as a consultant to many of the treatment facilities, helping to establish programs, and training of clinicians. Mary offers intensives for individuals, couples, and families and travels throughout the United States, Canada, Europe, and Africa dealing with trauma, addictions, and reconciliation. Mary has worked as a consultant to Onsite Workshops in Nashville, TN for the past 6 tears doing psychodrama trainings, and intensives for individuals, couples, and families as well as trauma groups. Mary resides with her handsome husband Paul in Naples where they are celebrating 45 years of marriage. T hey have a cute dog, named Rocco who thinks he is human. Pila, our executive chef at Casa Colina, completed culinary school at Le Cordon Bleu in Dallas, Texas. Her work experience began in the restaurant and hotel industry which later led her to Australia. She describes her time there as one of the most defining moments of her life. “Traveling to the other side of the world by myself and knowing not a single soul…it was one of the best moments in my life,” she remembers. After she returned state-side, her love of children and her desire to give back to her community inspired her to work with a local non-profit organization prior to joining Casa Colina. While there, she learned to work independently and to manage all aspects of the kitchen. Berenice strongly believes that life is about taking changes, learning new things and putting those opportunities into practice. With a background in event planning, Berenice brings her organizational skills, her creative problem solving skills and her humble and compassionate nature to Casa Colina. Prior to joining Casa Colina, she attended Wade College and completed her Associates of Arts Degree in Merchandising. She draws inspiration from her family, especially her amazing mother. Having fond memories of dinners with her family inspires Berenice to create a comfortable dining experience for the men of Casa Colina. Her greatest desire is to make her family proud of her. Her second greatest desire is to own a Corgi of her own. With a passionate zeal for recovery, Wes Lane first came into contact with Casa Colina while mentoring and carrying the message on campus. His belief is that God saved him from the hopelessness, the pain, and the misery of alcoholism and addiction so that he can show others that there is a way out. When he is not at Casa Colina, he enjoys spending time outdoors in his garden and with his home group of AA and with his family. He also enjoys cross-pollinating some of the hottest chili peppers that can be found in Texas. Just ask our team. Dedicated to physical, emotional and spiritual health, Drew is instrumental in teaching other men how to achieve overall health and wellness in their lives. Growing up in Dallas, Drew completed high school and obtained his Bachelors Degree from Texas A&M University. Drew credits his love of physical fitness to different mentors he has had who have motivated him both inside the gym and outside of it. Drew’s confidence and commitment inspire staff and clients to live an abundant life. In his free time, Drew enjoys listening to praise music, spending time with friends, and working out at the gym. Drew also enjoys leading Bible studies for young men through his church and carrying out mission work in Haiti. Caring and helpful, Emily has a strong desire to inspire others. Finding freedom and joy in recovery for over three years, Emily enjoys both carrying the message and her role as Recovery Advocate at Casa Colina. One of the most defining moments in her life was her choice for treatment in Texas. She credits this decision as being the catalyst for the self growth necessary for her to live the life she has today. She brings qualities such as compassion, integrity and responsibility to the team and her personal experiences in recovery help her relate to and identify with others who are still struggling. Emily is currently a student at University of Texas at Dallas. Her favorite quote to live by is that “God is bigger than any problem.” When she is not giving back to others, she spends time traveling and playing with her puppy, Raisin. Recovery Advocate, Chad Jones, first came into contact with the staff and men of Casa Colina through carrying the message on campus with his home group in early 2017. Chad then joined our team to continue to mentor others and to pass on what was so freely passed on to him during his personal journey of recovery. One of the hopes he has for the future is to further his clinical education and to become a licensed counselor in Texas. Chad loves to laugh and believes sometimes a smile might just be what someone else needs in the moment. His “laughter is the best medicine” philosophy helps spread humor, joy and hope to everyone around him. When he is not carrying the message, he loves playing golf and going fishing for trout in Arkansas. After working for over twenty two years in the field of operations, Stanley decided to join Casa Colina to carry the message and to help mentor other men who are struggling with alcoholism and addiction. His near death experience with alcohol poisoning followed by his time in treatment have contributed to his desire to reach others through telling his own story and sharing his personal experiences. When he is not spending time with his wife and family, he enjoys volunteering with Meals on Wheels and believes taking meals to people in need is one of the most incredible experiences one can have. Scott’s love of helping others and his desire to share his new life of freedom in sobriety are just a few of the reasons why he decided to join Casa Colina as a Recovery Advocate. Both Scott’s passion for recovery and his ability to adapt to his environment encourages others who are still struggling with change. His favorite quote by Heraclitus, “the only thing that is constant is change,” reminds him to move forward continuously and to stay open-minded while he continues to grow. His willing attitude and work ethic is infectious to others. When he is not spending time at Casa Colina, Scott enjoys expressing himself through music and spending time with family and friends. His own father’s example of servant leadership while Scott was growing up has inspired him to look forward to also becoming a father one day…all in good time. A loving father, a good friend, and an all-around caring man, Donnie joined Casa Colina as a Recovery Advocate in 2018. Growing up, his desire was to become a surgeon and to make a difference in peoples’ lives. This motivation to help others influenced his decision to join the team at Casa Colina. When he is not at work, Donnie’s spends his time watching cartoons with his children, spending time in fellowship with his AA home group, watching football, and planning trips to the beach. He hopes to begin working towards his goal of completing college while at Casa Colina. Knowing Donnie as we do and his motto to “Never ever give up,” we are sure that he will accomplish whatever he sets out to do…including guiding others towards living a life in sobriety. A passionate sports fan, Alec joined the team at Casa Colina in 2018 as a Recovery Advocate. His motivation to help others developed from finding peace and serenity through his own recovery program. Before joining Casa Colina, Alec completed his Bachelor’s Degree in Communications and worked for a minor league baseball team and also in a collegiate setting in the sports information/media relations department. Some of the other causes Alec is passionate about are suicide prevention, improving education in inner city schools, and changing the stigma of mental health. When Alec is not working at Casa Colina, he enjoys watching or playing sports, volunteering, hanging out with nieces and nephews, playing with his dog Eva, and getting blizzards at Dairy Queen with friends. Funny, loving, and outgoing, Jesse White joined Casa Colina in 2018 as a Recovery Advocate. His own experiences in treatment and also in recovery have strongly influenced his decision to help other men learn how to get better and to stay sober. With his ability to relate to others, Jesse brings charisma and a passion for recovery to the team at Casa Colina. Jesse also feels strongly about working with troubled youth, carrying the message and serving as a worship leader in his church. When he is not working, he is happiest while enjoying the fellowship of AA, going to the lake, playing the guitar, spending time in prayer and meditation, and spending time with his family. Some of his future goals include traveling to Paris with his wife and purchasing a home of his own; However he believes his real purpose in life is to be of maximum service to God and to those around him and to be a good father and husband to his family. With a heart of gold, Mel Warren joined Casa Colina as our maintenance manager in early 2017 because he loves to help young people in whatever capacity he can. Mel has a love of teaching others and enjoys working with his hands. After serving honorably on the United States Marine Corps, he earned his Associate of Arts degree in Victoria, Texas. He then stayed on and taught welding at the collegiate level. He is most inspired by family and friends, particularly his wife of over 45 years and his grandchildren. When he is not at Casa Colina, he can be found wood working and constructing furniture in his shop.